SMALL PLAYER SIZE RATE CAPTURES IMPRESSIONS ON VIDEO PLAYERS <400X300 WXH IN PIXELS. IN-BANNER VIDEO RATE CAPTURES IMPRESSIONS ON VIDEO PLAYERS 300X250 WXH IN PIXELS. 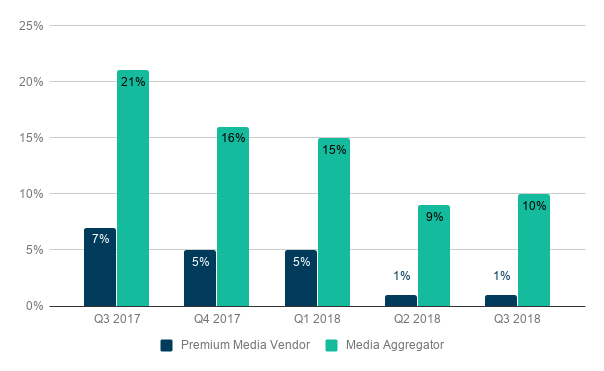 The Small Player Size Rate continued its downward trend for premium publishers and it’s upward trend for media aggregators in Q3. 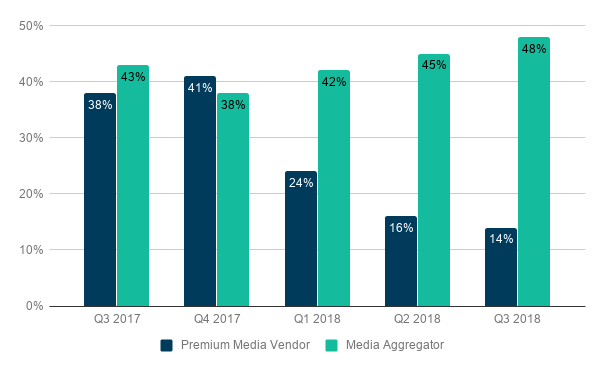 Premium publishers hit a new low of 14% and aggregators reached a high of 48%, bringing the average of the two back up to 40% in Q3. 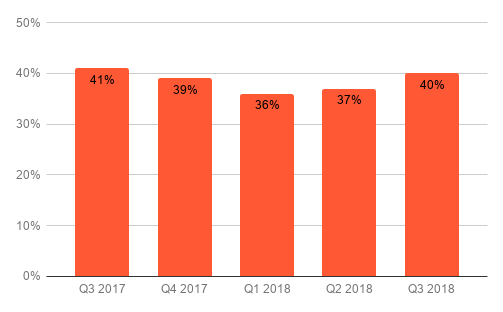 In-Banner Video Rates, that have been on a steady decline, are up just slightly overall due to a rise among media aggregators. The use of in-banner video ads is not yet gone, but is certainly on the way out. While true pre-roll video lives in the center of the page, in-banner video is inserted in a display ad at the bottom or side of the page and is far less expensive than other video ad placements. 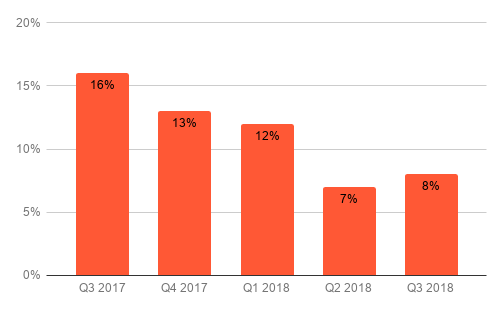 Since Q3 2017, the rate among aggregators has declined from 21% to 10% in Q3 2018.